An iconic destination, Dubai has transformed itself from humble beginnings to a mind‐blowing, must‐see land of 21st century wonders. Home to the world’s most luxurious hotel, the tallest building in the world, man made islands, the largest mall in the world, an aquarium resort with underwater suites, and a skyline in the clouds, Dubai is sure to deliver on marvel upon marvel. Take this trip to this awe‐inspiring land of superlatives for an extra special honeymoon! A feast for the senses, Dubai whisks you from one extreme to another; from incredible hotels overflowing with luxuries to phenomenal desert landscapes and dramatic mountains; from tranquil sands alongside the stunning Arabian Gulf to bustling souks selling traditional wares such as spices, silk and gold. VIP Welcome at the Dubai Airport with VIP Lounge services: Meet & Greet at the terminal on arrival, Refreshments & relaxation at the Ahlan Lounge, Assistance with immigration facilities Assistance with Duty Free Shopping, Assistance of Porter throughout. You will be escorted through the VIP Arrival area where The Indar Weir Travel Centre’s representative will be waiting to welcome and assist you to your private transfer vehicle for a drive to your hotel. Full Day Touring Dubai After breakfast, your English Speaking Guide and Chauffeur will pick you up from the hotel and take you an adventure throughout Dubai. Lunch at the renowned Pierchic: Known as one of the best Romantic Seafood Restaurants in Dubai, boasting signature menus for a perfect gastronomical experience overlooking the Arabian Gulf, Palm Jumeirah and the iconic Burj Al Arab. Zabeel Palace – Ruler’s Palace | Al Fahidi Street – traditional electronics & watches market | Dubai Sky Line - see the tallest building of Deira City | Al Fahidi Fort – historic fort converted to Dubai museum featuring artifacts and tales of the past | Walk through the he old city | Abra Ride - the ancient water taxi that takes you between Old and Modern Dubai | Bastakia - wind towers, the ancient air cooling system to beat the heat | Spice Market & Gold Souk - the world famous traditional markets of Dubai. Gold and Spices are on sale by the pound, be sure to check the going rate! Private Return transfer to your hotel. Dinner on your own. Make reservations for one of the fine dining onsite restaurants. After breakfast you will be transferred to the creek or marina for take-off on your seaplane adventure. A tour specially designed for you to discover the charm of Old Dubai, Dubai Creek Silver lets you step back in time with aerial views of a vibrant neighbourhood that’s still full of abras, dhows, and spice souks. 13:00 Upon conclusion of your Seaplane adventure. You will be taken to the stunning Dubai creek Golf & yacht club for a refreshing lunch. 19:00 Transfer to the Dubai Creek for dining onboard the renowned Bateaux Dubai. Enjoy a four course meal including water and soft drinks. The majority of the day is spent at your leisure. Take advantage of your resort amenities, or do some shopping at one of Dubai’s mega malls. In the evening prepare for a magical dining experience “on top of the world”. You will be transferred to the iconic Burj Khalifa, the world’s tallest building, for a special dinner and cocktail experience. You are sure to be spell bounded by the view. Be sure to take pictures! If you are lucky you can enjoy the spectacular dancing fountain show from the most enviable vantage point. Sheikh Zayed Mosque | Oil Trading District | Yas Island | Abu Dhabi Corniche | Ferrari World | Al Husn Palace | Marina Mall | Heritage Village & more! Dinner on your own. Venture out or try one of the onsite fine dining restaurants at your hotel. The majority of the day is spent at your leisure. 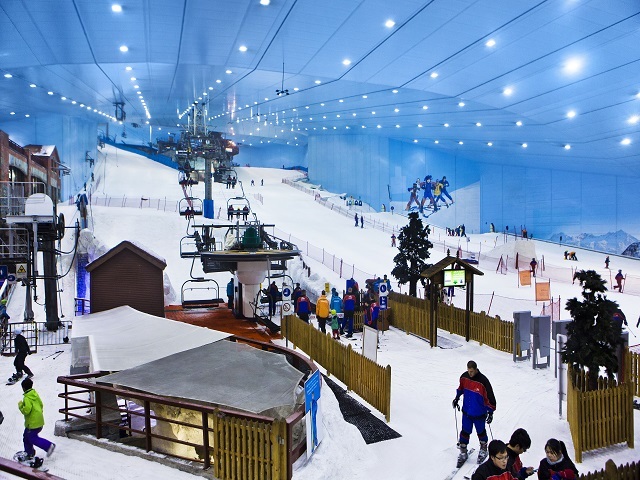 Take advantage of your resort amenities, or try one of Dubai’s awe-inspiring attractions such as the indoor ski resort or a mega waterpark. Later, indulge in a romantic night at Burj Al Arab for dinner. 19.00 Transfer to Burj Al Arab, 7 Star Resort for Dinner at the aquatic spectacle Al Mahara offering the finest cuisine in Dubai. Spend your time enjoying the Al Maha Resort’s desert activities and pristine facilities. Desert safari within Al Maha reserve, archery, falconry, camel and horse riding safaris are all included. Maximum 2 activities per person per day. Your stay is on full-board basis; breakfast, lunch and dinner are included. Al Maha’s onsite Spa offers great spa treatments making use of Middle Eastern and South East Asian ancient traditions and secrets. Transfer to Dubai Airport for departure.